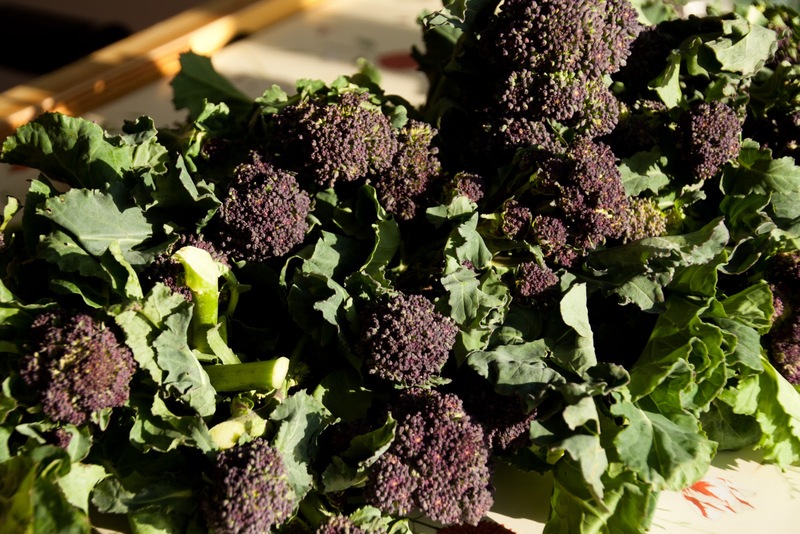 Peach and Thistle: Farm Delivery Friday Jan 13! 0 Farm Delivery Friday Jan 13! 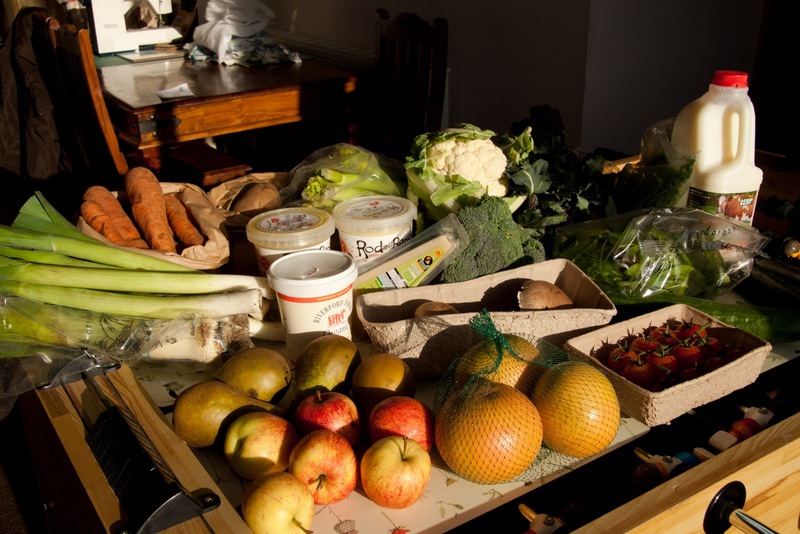 This week I ordered a "favourites box", which included orla potatoes, broccoli, leeks, cherry tomatoes, carrots, courgettes, portobello mushrooms, and celery. The celery was swapped by the farm for the cucumber, but that's okay 'cause I like cucumber and I ordered extra celery! I ordered extra leeks, carrots, and the other items shown. 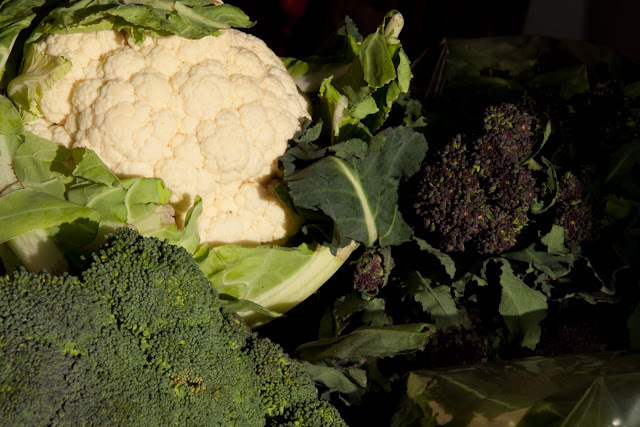 Cousins: cauliflower, calabrese broccoli, and purple-sprouting broccoli. Something I'd never heard of Stateside, purple-sprouting broccoli is delicious. Right after I took this picture I ate a big bowl of it steamed!